October 28, 2012 I lost him and it was the most devastating day of my life! I was one of the primary caregivers, along with my 3 siblings, for my father who was diagnosed with dementia over 10 years ago. My father was my best friend, my hero and was my parent/caregiver growing up. We did everything together – fishing, boating, hunting. The roles reversed and he could not do many of the things he enjoyed in the past, nor could he remember all of them. Due to the dementia and other physical impairments, we had to put him in a nursing home 5 years ago. I promised my father I would never do this, but my family and I had no choice. 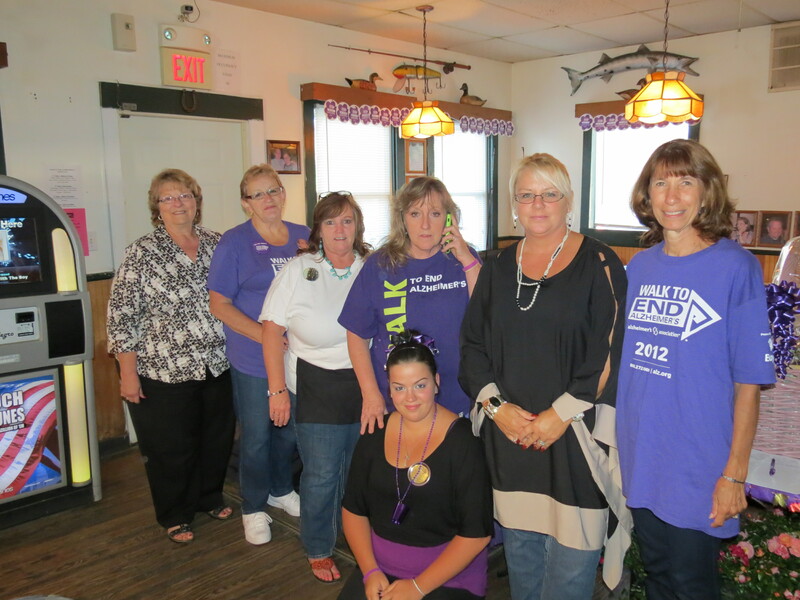 We made the transition and I received a lot of support from the Alzheimer’s Association Southeastern Virginia Chapter, family, friends and nursing home staff. I was very fortunate that he knew who I was till his dying day. 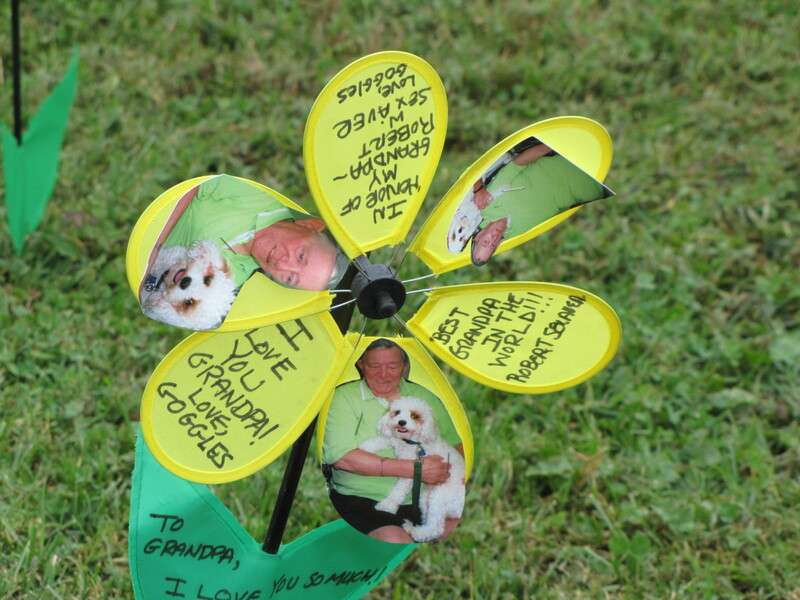 Alzheimer’s can sometimes work in your favor. Last March we had to make a horrible decision for my father, since he was not able. We had to have his leg amputated above the knee. Ironically because of the dementia he did not seem to know that the leg was gone. So sometimes God makes bad things turn good in some instances. Being a caregiver for a person with dementia can be mentally and physically exhausting. However, never let this interfere with your love or your compassion to give your loved one the best quality of life possible. Make every day count and take every chance you can to visit, share a picture, make a moment. That is what I strived to do every day! 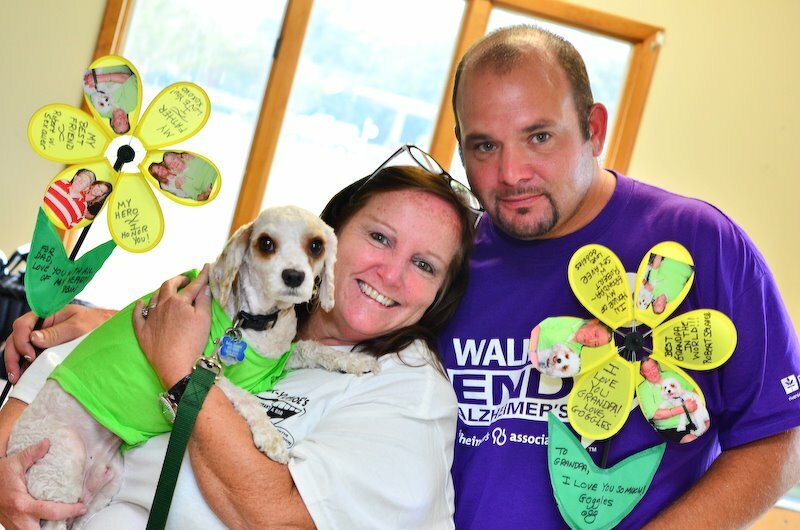 Thank you for walking to end Alzheimer’s and for being supportive of the Alzheimer’s Association Southeastern Virginia Chapter. Together we can all make a difference and find a cure for this devastating disease! Registration will begin at 8:30 a.m., ceremony begins at 9:30 a.m.
and the walk will start at 10 a.m. Donate now or register at the walk! After the walk, join us to raise even more donations at the Eastern Shore Tractor’s Open House! 11 a.m. – 3 p.m. Yuk Yuk & Joe’s Restaurant is catering this event and selling 50/50 raffles, giving away t-shirts, selling bracelets, car raffle tickets, and more! (757) 678-7870. Flyer. Alice LaCroix, of Shore Stay Suites, joined the Yuk Yuk & Joe’s Restaurant Team Shore Stay Suites, and will host the fundraiser at Eastern Shore Tractor in Accomac. They will be grilling for Eastern Shore Tractor’s Open House and in return, Eastern Shore Tractor is purchasing all the food and making a donation to the Walk to End Alzheimer’s. I do not have biological family that have Alzheimer’s. However, I used to manage an Independent Retirement Community that had 130 apartments. and 147 residents, or “family members” as I referred to them as. They had Alzheimer’s and/or dementia. I fell in love with each and every one of them and their extended families. They became near and dear to me and this is why I enjoy doing this fundraiser, knowing the results that can happen!